Local IT Support in Bridgnorth and Shropshire - Quality services at affordable prices. 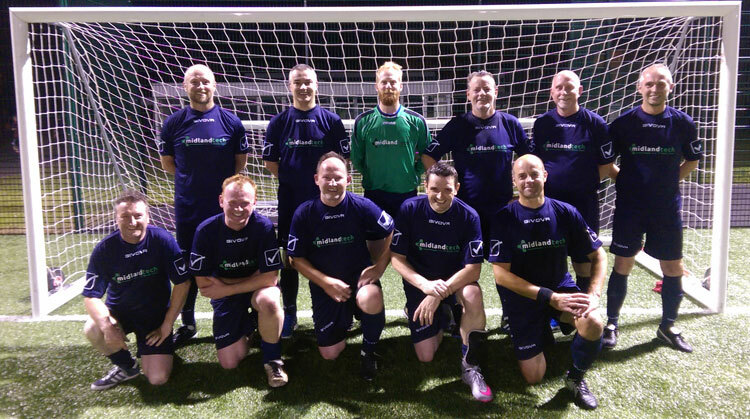 Midland Tech is proud to sponsor a newly-formed local football team, who will be competing in a new 8-a-side veterans league run by the Shropshire F.A. Pictured are the team in their brand new kits, supplied by Midland Tech, after the first pre-season friendly. We believe IT Services and Small Business IT Support should be simple and should be packaged in affordable solutions for business across the UK.